The Sri Lankan solar industry will gain localised access to one of the world’s most technologically advanced and globally demanded solar panels, with leading photovoltaic product manufacturer Infinity New Energy’s (INE) entrance to Sri Lanka. 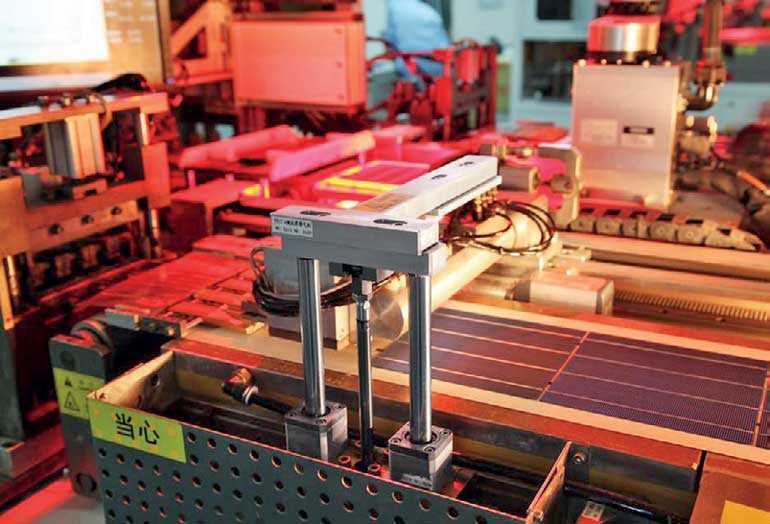 The INE Solar photovoltaic module is produced under globally accepted European Standards, and is in high demand for residential, commercial and industry-scale solar systems across the world. With offices and warehouses located in Australia and the Netherlands to meet the growing demand, INE solar panels are sold in many other countries, including the USA, South Africa, Spain, France, and Italy - and now, Sri Lanka. The panel is composed of some of the fastest growing-energy technologies in the world, and is equipped with the modern Passivated Emitter and Rear Cell (PERC) technology for higher efficiency. Inherent properties such as high weather resistance and low permeability make INE solar panels the benchmark of future-ready solar solutions. INE boasts a 1GW solar panel production capacity from Wuxi and Chenzhou production bases in China, and has proposed a 200MW capacity production facility in Sri Lanka. The fast progressing company draws from 10 years of manufacturing experience in the rapidly evolving global solar industry, with 5GW shipments of solar panels to date to all corners of the globe. With TUV, PID and Salty Mist certifications, INE is also ISO 9001 and ISO 14001 certified for quality management systems and environmental management systems respectively, offering superior quality products with a growing global endorsement by over 100 partners and 2000 retailers worldwide. Powitt Solar Lanka, the local trading subsidiary of INE, is the sole supplier and after sales service provider for INE solar panels in the country. Powitt Solar Lanka and INE are extending investments in commercial and utility projects across the island, adding to the $ 500 million worth investments carried out by INE on a global scale to date.